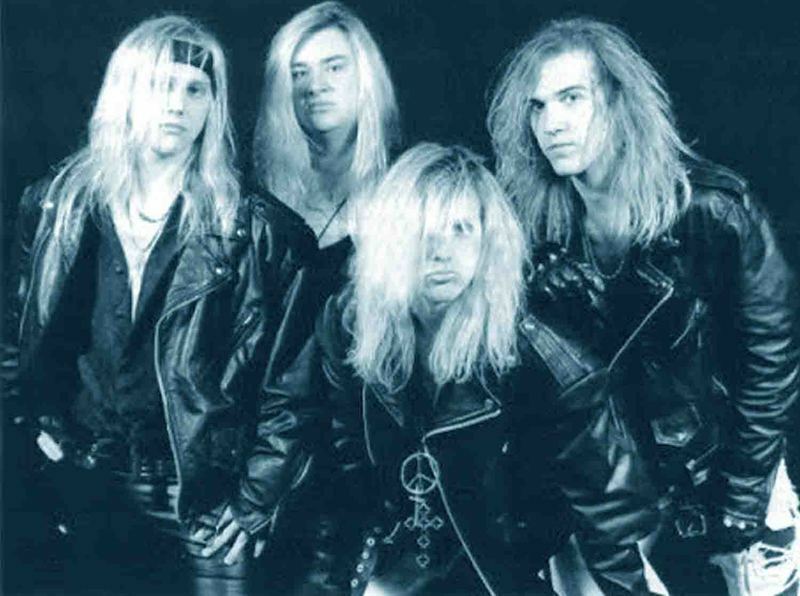 PLAY ROUGH: Original rock band from Ohio formed in 1986. 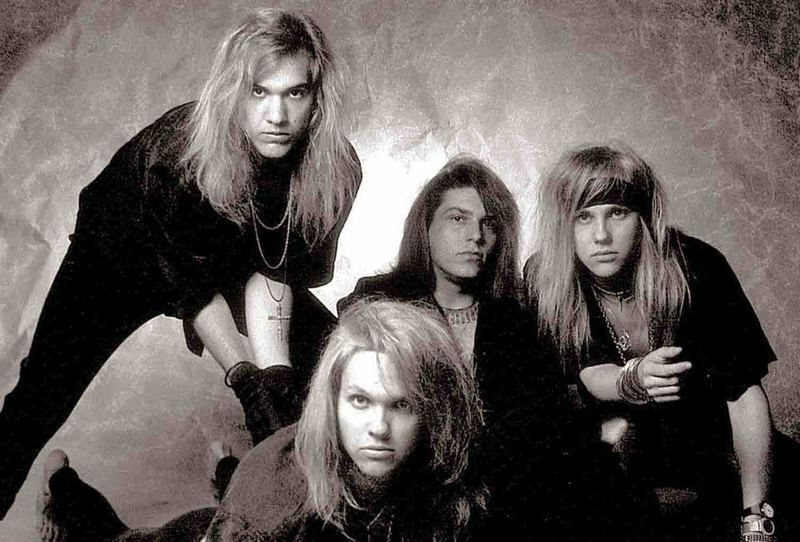 Relocated to Memphis in 1992 and was together until about 1994.American Midwestern Rock & Roll. Growing up in a hayfield on a horse farm in rural Southeastern Ohio yields abundant childhood days chock full of bicycles on gravel roads, climbing in and out of Maple trees, swimming in pools or ponds or watering troughs, running and jumping across the top of large round hay bales, discovering stock piles of 70s rock and roll lps in your older teenage cousins bedroom closets…. What’s this? By the tender age of 8, the Hartzell brothers were mesmerized by the sounds and styles of these new discoveries; Kansas, Meat Loaf, Journey, Boston, Alice Cooper, Steve Miller, AC/DC, Queen, Aerosmith, …..KISS….poor Grandma Hazel gracefully endured the brunt of it by sitting patiently through endless “concert performances” while we played air guitar and air drums painted in KISS makeup and lit by strings of alternating red-green Christmas bulbs stolen out of dusty attic boxes.Eventually, thanks to mom and dad, the air-instruments gradually progressed into real instruments. Boxes became drum kits. Pianos became keyboards. Acoustic guitars became electrified with actual amplifiers that you could turn up really loud! The music from bands like Iron Maiden, Judas Priest, Black Sabbath, RUSH…..continued to captivate our impressionable young minds. Even at those young pre-teen ages, we were experimenting with “trying” to write our own songs and even putting together fictitious bands with fictitious names and fictitious cassette tapes complete with packaging and song lyrics included.Meeting Mike Bateson (drums) and Brent “Fritz” Hayman (bass) in early 1986 culminated in our first official real band: PLAY ROUGH. Named after a B-side song from the band Night Ranger, we began playing together in basements and garages. Rehearsing after school and on weekends….experimenting with our instruments and nervously testing our vocal abilities. Learning renditions of our favorite bands’ songs, we tried them out at basement parties and high school dances….which ultimately led to numerous Battle of the Bands contests, events and festivals around the state. 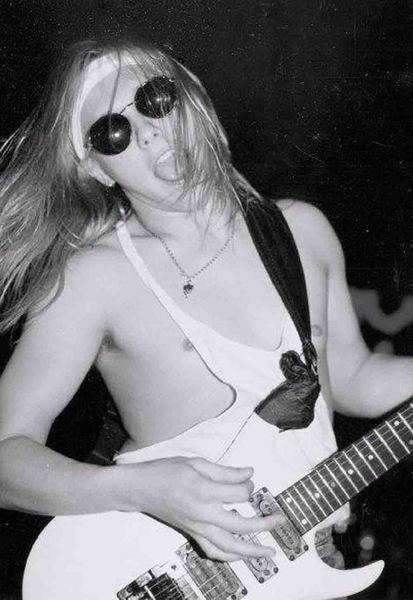 Phil was just a kid at barely 14 years of age and playing in bars on the weekends….By the time we got a good solid year into it, the LA glam/hair scene was dominating pop culture (or so our satellite MTV and dime store magazines led us to believe.) Bands like Poison, Whitesnake, RATT, Winger, Motley Crue, Warrant….were the dominating influences and we wanted to be just like them. This was back in the day before computers and drum machines. We actually wrote songs on instruments and doodled lyrics on notepads with ink pens….and we were getting better at it. We tried growing our hair longer. We wore tacky bright glam-rock clothes that we had to drive up to Columbus to even find. The lure of the bright lights of the “big city” beckoned us!By 1990, we had developed a fairly solid stage-show on our little shoe string budget and had also garnered a rather large local/regional following. Mike quit the band abruptly and unexpectedly which led to a nation-wide search for a suitable replacement. What seemed like a set-back at the time rather turned into what ended up being a welcome blessing in disguise for our band when we met Jimmy Fulp (also from a small rural town) called Owenton, KY who became the missing and final ingredient that took the band to the level it needed to be in order to take our next step forward. Not only was Jimmy a rock solid drummer, but he sang and wrote music and was accomplished at other aspects of the musical spectrum like recording and production. We were ready to take on the world.Our next step was to sign with a talent agency based out of the cities in Minneapolis. We all (band, sound engineer, lighting director, road crew) loaded up the trailer and truck and jumped into a van and hit the road….. We spent the next two years touring throughout the collective Mid-West. Writing more music, playing high-energy shows, developing our style while continuing to build up our fan base the old fashioned way….by doing it. PLAY ROUGH was featured in many city rock n’ roll mags and rags and in fact, was even a feature in Metal Edge as a band to watch for in their Rock On The Rise featurette.By the time we played Memphis, TN in early 1992….we were ready to make our next move. We were instantly impressed and captivated by the interest in original music that seemed to take such precedence in Memphis. There had recently been several local bands garner major spotlight attention and sign record deals right here at the infamous StageStop rock club; Tora Tora, Lord Tracy, Every Mother’s Nightmare, Roxy Blue… to name a few. Soon after relocating here, Kenny Miller joined the ranks as our new bassist. Kenny was a solid player who gave us a breath of fresh hair with his insatiable drive and enthusiasm to play! We were poised to take the next step in our musical journey while we continued to write and record new fresh and relevant rock and roll.The cd showcases the music of Play Rough from its very inception in 1986 all the way up to our relocation to Memphis in the year 1992. It captures a young and immature bunch of kids literally getting our feet wet that improved and matured as we set out across the country painting the landscape black and neon pink! !